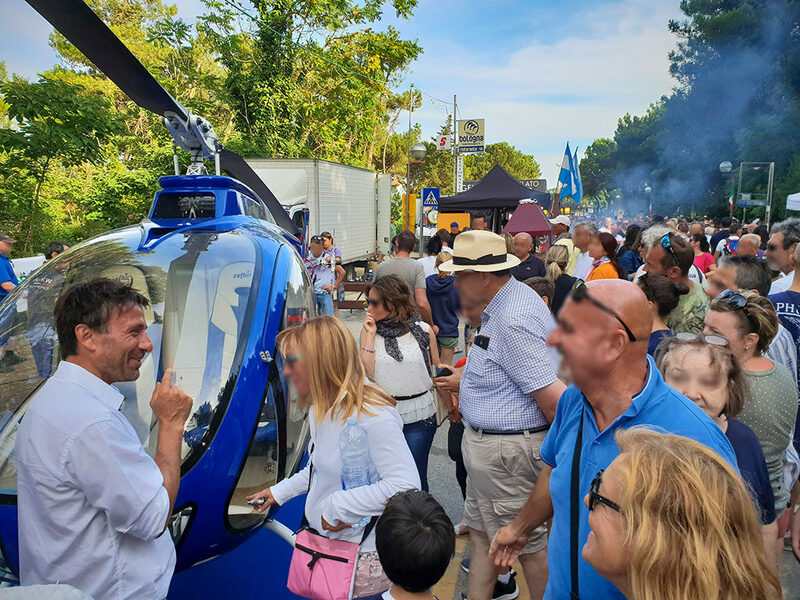 Curti’s Zefhir helicopter – the world’s first lightweight, two-seater with a turboshaft engine, ballistic parachute and innovative rotor aerodynamics – was invited to take part in the annual Frecce Tricolori air show at Punta Marina near Ravenna. Exhibited alongside larger helicopters of world-class caliber, the event helped showcase Zefhir’s innovative features and solidified the company’s position as an important aeronautical reality. 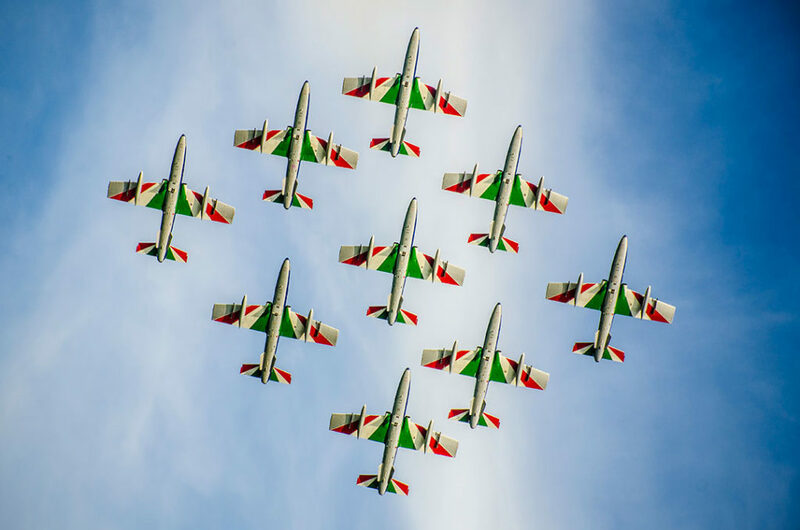 Part of the Italian Air Force, Frecce Tricolori is arguably the world’s largest acrobatics patrol with spectators coming from near and far to see the breathtaking performances. The invitation to sponsor the Punta Marina event proves that Zefhir has what it takes to fly with the best, and indeed this was the perfect platform to present the helicopter’s potential in terms of handling and performance. Attracted by its Made in Italy design and advanced engineering, Zefhir captured the attention of thousands of visitors old and young who saw for themselves the helicopter’s lightweight composite structure, optimized aerodynamics and undeniably impressive stance.